Don't forget about my contest...you have until this Saturday to submit a color palette suggestion for my new SBC template packs - for a chance to win a coupon to my store (good for my word art & templates). See this linked thread for more details. 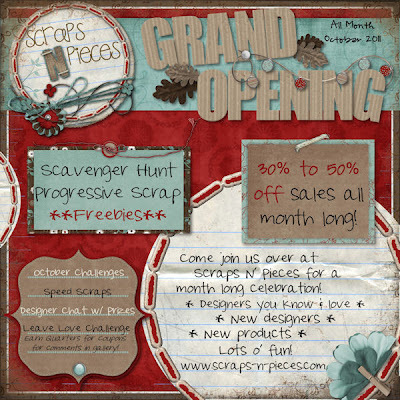 The designing geniuses (and sisters) behind Scraps N' Pieces have opened their own store with the same name. The SNP store is open now, but the official Grand Opening will kick off on October 1st. We have LOTS planned, so be sure to head over to the store & forum and get registered. Lots of challenges, freebies, and sales. You won't want to miss out!! There are still a couple spots left if you have the talent and want to share it with other scrappers. 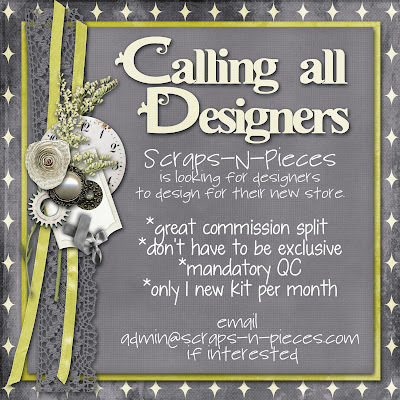 SNP is still accepting applications to design and sale in the store. See flier below for more details. 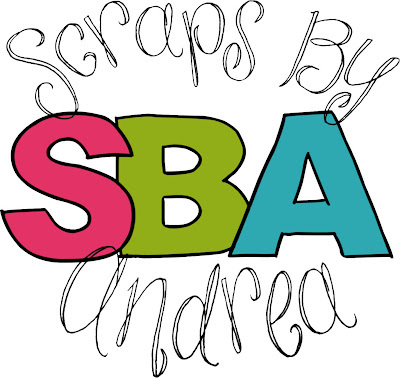 And last but not least...Scraps by Andrea finally has a Facebook page. Click the image below and "like" her.